Owners of Apple computers are well known -- some would say notorious -- for the over-the-top affection they lavish on their machines. If Macs were cars, their owners would run them through the carwash daily. A company called ZeoBIT celebrates, or perhaps takes advantage of, Mac owners' worshipful attitude by running ads asking "Do you love your Mac?" On its website, ZeoBIT goes on describe its MacKeeper product as "an essential tool for your Mac. 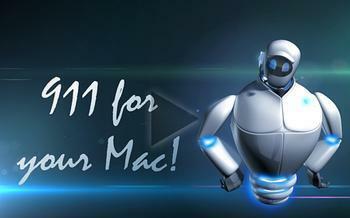 It’s an easy way to manage routine tasks and keep your Mac secured, clean and running fast!" This all sounds great, of course. No one wants an insecure, dirty, lumbering Mac. The question is whether MacKeeper is really necessary. A class action lawsuit claims it isn't. Lead plaintiff Gregory Ward claims in a suit filed in Cook County, Ill., Chancery Court that MacKeeper -- like the "performance testers" so common in the Windows world -- finds every computer as "at risk" and in need of repair, Courthouse News Service reports. ZeoBIT guarantees that the full version of MacKeeper software, which costs $39.95, will clean up the Mac's hard drive, remove junk files, boost login time, and generally speed up the computer's performance, Ward says. "Contrary to ZeoBIT's marketing and in-software representations, however, neither the free trial nor the full registered versions of MacKeeper perform any credible diagnostic testing of a user's Mac," the complaint states. "Instead, ZeoBIT intentionally designed MacKeeper to invariably and ominously report that the consumer's Mac needs repair and is at-risk due to harmful errors, privacy threats, and other problems, regardless of the computer's actual condition. Ward is not the only one who's suspicious of MacKeeper's claims. It's been a hot topic on many Mac forums but it also has its defenders, though some of them are rather reluctant. An anonymous computer repair technician, for example, writes the MacExpertGuide.com blog and in a 2012 review, assured readers that MacKeeper was not a virus or malware. It's real software but whether it's worth installing is another matter, he said. "For more than 4 years, I have run my own computer repair company. During that time, I have come across quite a few Macs that have MacKeeper installed. If these computers were running as they should be, the customer would not be coming to me for help. In every case where MacKeeper has been installed, it has been the main culprit of the problem [sic]," the unnamed blogster, who did not immediately respond to a request for further comment, wrote. "Even if MacKeeper does its job well for some users, there are a majority who found that the software caused severe problems on their Mac," he said, and recommended several alternatives that he has found less troublesome. It's not entirely clear when ZeoBIT is still involved with MacKeeper. Something called the Kromtech Alliance Corp. announced in December that it was acquiring MacKeeper and its sister Windows program, PCKeeper. “We share the vision of providing innovative software and products to our customers and we are excited to what the future holds for MacKeeper and PCKeeper ” said an unnamed spokesperson for Kromtech in a December 2013 press release.